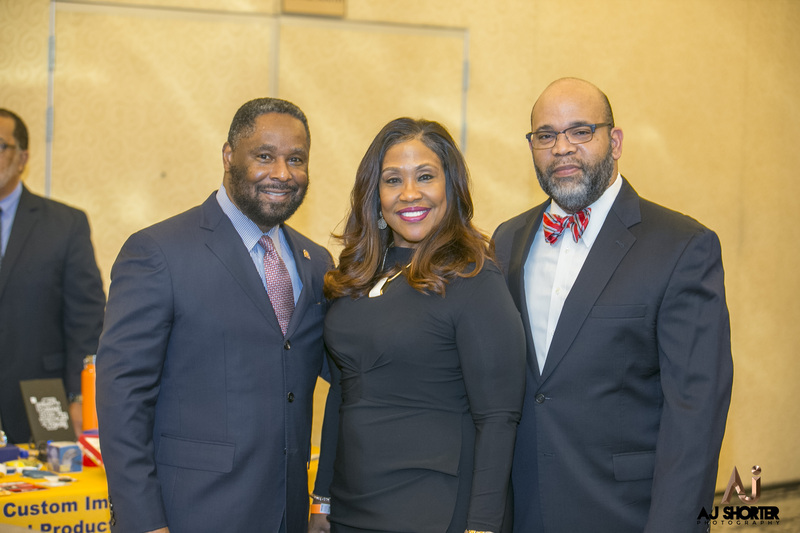 (BPRW) Miami-Dade Chamber of Commerce 2019 Annual Symposium & Business Leaders Luncheon Employment: Today & Tomorrow | Press releases | Black PR Wire, Inc.
(Black PR Wire) - The Miami-Dade Chamber of Commerce (MDCC) hosted its Annual Symposium & Business Leaders Luncheon on Friday, March 29 at Hyatt Regency Miami, located in downtown Miami. Each year, the Miami Dade Chamber’s executive leadership chooses a theme that directly impacts its constituents, building a power panel around it. It’s no secret that the economic landscape is changing in Miami. One of the most important elements of this landscape is the workforce. As the leading chamber in Miami-Dade County’s minority community, MDCC leveraged its position to bring together a number of formidable thought leaders to discuss “Employment: Today & Tomorrow”. Title sponsor CareerSource South Florida was uniquely positioned to lend deep insight on this topic. 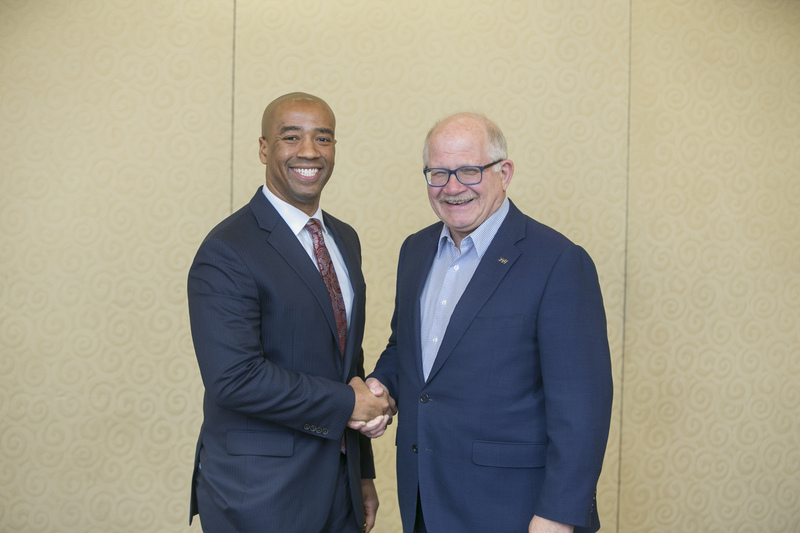 Executive Director, Rick Beasley, led an intuitive fireside chat with none other the President & CEO of Enterprise Florida, Jamal Sowell. The day began with an introduction provided by Dr. Mark Rosenberg, President of Florida International University (FIU). Member of the Year; Greenberg Traurig – Corporate Business of the Year; United Way of Miami-Dade – Large Non-Profit Organization of the Year; BAC Funding – Small Non-Profit Organization of the Year; MIA Media Group – Dexter Foster Small Business of the Year; Matthew Pigatt – Rising Star of the Year. After the awards were presented, Rick Beasley of CareerSource South Florida welcomed Marine Corps. Veteran Jamal Sowell to the stage to talk economic prosperity for middle class and minority communities as well as Enterprise Florida’s talent retention efforts. 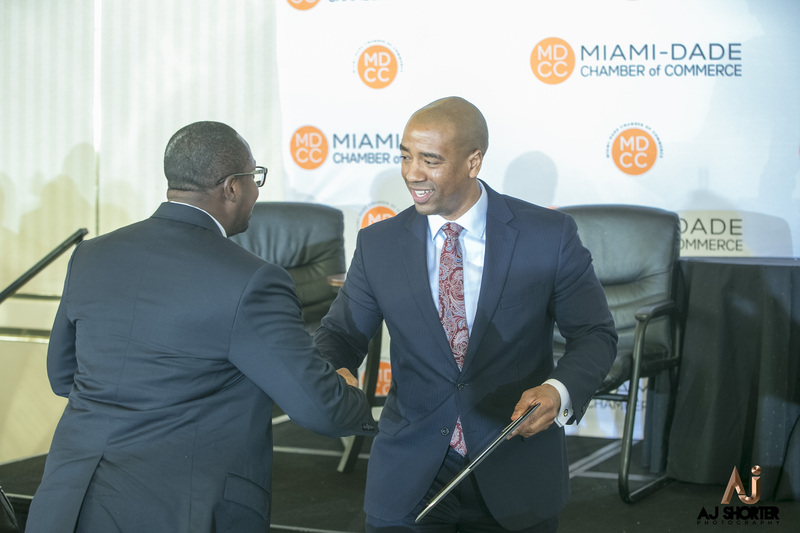 “It was a pleasure to speak with the Miami-Dade Chamber of Commerce last week about Enterprise Florida and our mission to diversify Florida’s economy,” said President Sowell. 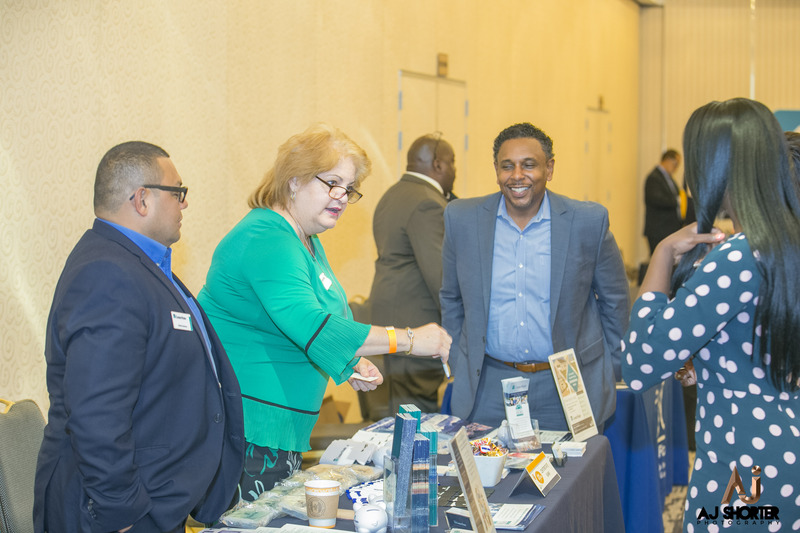 “We look forward to partnering with local communities to recruit new businesses and create opportunity for Floridians.” Sponsors for the event included CareerSource South Florida (title sponsor), Wells Fargo, AARP, American Airlines, Bank of America, Bayside Marketplace, Commissioner Barbara Jordan, Greater Miami Convention & Visitors Bureau, Jackson Health System, Knight Foundation, Royal Caribbean Ltd and InTouch Logistics LLC. 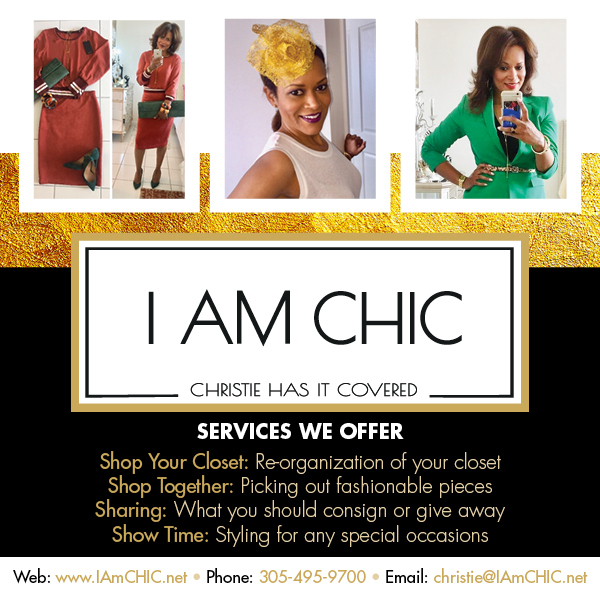 About The Miami-Dade Chamber of Commerce was founded in 1974 by a group of Black business leaders out of a need for a strong organization that could objectively advocate the needs of a growing Black business community. To date, the Chamber has been led by four presidents, David Fincher 1974-1984, Dorothy Baker 1984-2004, Bill Diggs 2005-2013 and current President G. Eric Knowles 2014. Understanding that membership is the life blood of the Chamber, they have focused on meeting the needs of the membership by upholding our five pillars of service; access, development, procurement, advocacy and foundation. For additional information, please visit www.m-dcc.org.